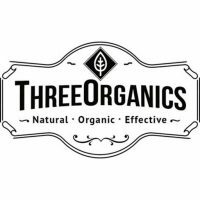 Three Organics is a family owned and operated business with a passion for creating completely organic, petroleum free skin, hair and beard products. Our journey began in early 2014 when our family made the conscious decision to stop using hair and skin care products that contained chemicals and petroleum. Our founder is a science teacher who’s acutely aware of dangers surrounding the chemical industry and use of chemicals in everyday life. Convinced about the benefits of using natural, organic products, we eagerly faced the uphill struggle to find products that worked effectively and met our high standards. Frustration set in once we realised that many of the natural and organic products on the market still contain ingredients that our family simply wasn’t willing to use. After a while, we reached the point where we were tired of searching and decided to make our own products for personal use. We began experimenting with different recipes and high quality organic ingredients. Little did we know that this would be the beginning of something much bigger. Within a month of formulating our personal products, the message got out! We received an overwhelming number of requests from family and friends to share our quality creations with them. We had no idea how many people were searching for exactly the same things we had been just a few months before! Soon after, Three Organics was born. Our philosophy has always been to create products with the fewest and most functional, 100% natural, organic ingredients. 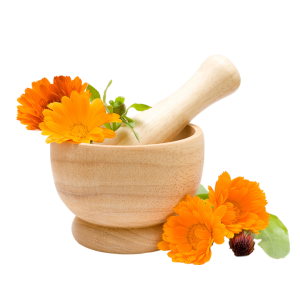 We sought to create skin care products free of chemically manufactured ingredients that are known to disrupt hormones, contain possible carcinogens, irritants and add overall toxicity to the body. We use certified organic and natural ingredients to create the finest completely organic products without a single synthetic chemical in sight! Only the highest quality, 100% organic plant-based, active ingredients. Tried, tested and never diluted. We source our ingredients from reputable providers with fantastic reputations. The Three Organics family would never sell a product we wouldn’t use ourselves. Three Organics is pleased to be able to offer you wonderful and unique moisturisers, oils, hair and beard products. We carry a variety of items to suit your individual needs. You’ll love the smell and feel as you apply our products. The difference natural, organic products make is immediately noticeable. We are committed to our purpose and passion of providing high quality, organic skin, hair and beard products. As a family, we are truly passionate about creating high quality products while making sure they are affordable to everyone. Three Organics products won’t be another over-priced, ineffective product sitting in your bathroom. Ours will be the ones you fall in love with.